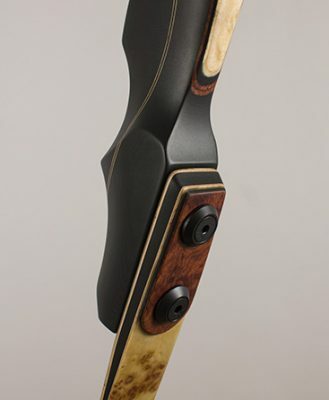 The Ultimate features our exclusive alignment system, Stabi-Lock™, a tool-free slide-to-lock limb attachment design that synchronizes all the performance-producing elements of this bow into a sensational, unencumbered transference of pure power from limb to arrow to target. Our Ultimate features a divided handle shaped from solid black Micarta, a linen-base phenolic, with center striping and overlays. 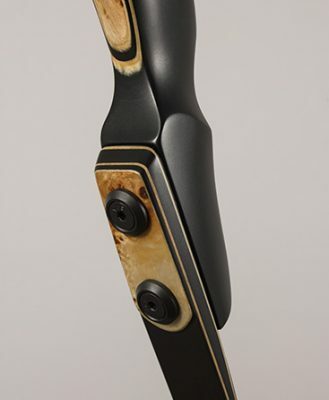 Limb options include black glass or clear over exotic veneers, with customizable tips and wedges. 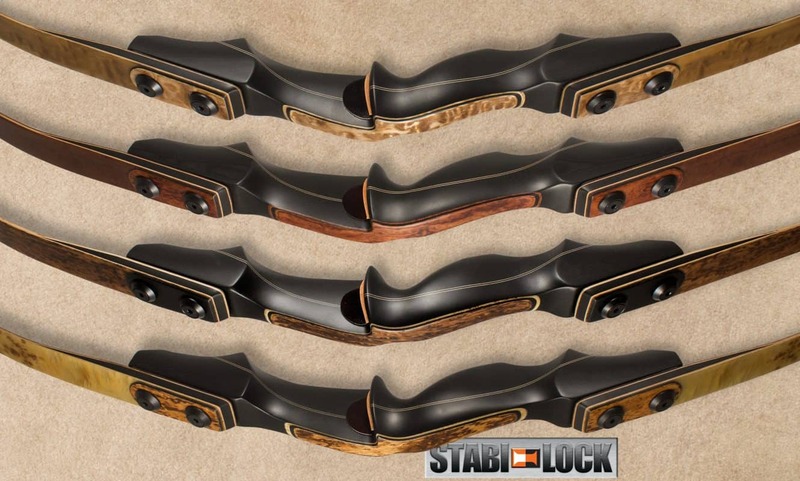 Performance noticeably superior to all 12 recurves we tested. Chronographing at 198, it was 10 percent faster than the fastest recurve in the Test (the Bob Lee Natural!) and its comparative efficiency blew the other bows out of the water. 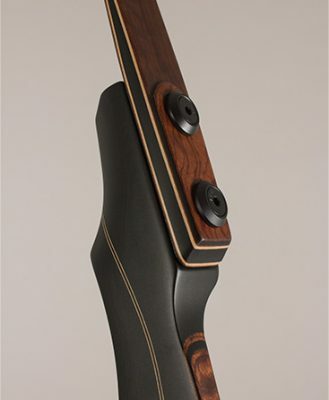 The Ultimate, with its superior aesthetics and performance, is aptly named. Elegant in appearance, extremely well designed and constructed of the finest of materials. This bow is incredibly quiet, forgiving and fast. If performance is a consideration, look no further. This is the bow you’ve got to have. I bought a Bob Lee Ultimate recurve about a year ago, 47# @ 28”, 60” long. It is handsome in the way a black lab is handsome, not a collie. It is a workhorse of a bow, and meant to hunt as a lab hunts, with total focus on the task at hand. I’m in the stage of my life where I’ve been gradually reducing poundage, and hopefully the 47# limbs will last me a long time. But if my body ages faster than the limbs do, I know I can depend on Bob Lee to build a new set of lighter limbs that will work fine on the Ultimate riser. I either have or have had bows made by most of the top 20 bowyers in the US. Of the 25 or so bows I have at present, 4 are Bob Lees. They include a Legacy for trad tournaments, a Bicentennial Elite for practicing left handed, a lightweight Smoke for my grandchildren’s and guests’ use, and the Ultimate for hunting. I have gifted a couple of others to family or friends over the years. I wouldn’t be surprised if all of the hunting I do for the rest of my life is done with the Ultimate. It is the most solid bow I’ve ever shot, and possibly the least finicky. It has the famous Bob Lee Grip, as do all the other Bob Lees I own, which is possibly the main reason I have more Bob Lees than any other brand. 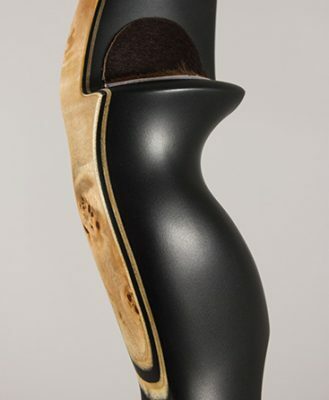 It has the Stabilock limb fastening system, which makes it easy to put the limbs on and take them off. And just like a lab is happiest when charging through the gnarliest brush or tulies, my Ultimate is happiest when it is out in the field, not worried about picking up a few scratches.